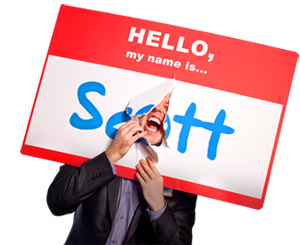 Brandtag Strategic Planning Crusades: Make Your Mission More Than A Statement - HELLO, my name is Scott! What happens when we know we who are? Decisions are easier. Because we know what really matters. Postures are sturdier. Because we know what we stand for. Interactions are warmer. Because we know how to relax. Relationships are healthier. Because we know who to look for. Risks are smarter. Because we know what we’re willing to lose. Transitions are smoother. Because we know how to flex. Failures are faster. Because we know what rekindles our fire. Commitments are stronger. Because we know why we stand for it. That’s the upside of identity. Knowledge isn’t just power – it’s the engine of more. Thanks to my design team, Chris from Simplifilm and Tennyson from Rog Designs, now anyone in the world can download an overview of The Strategic Planning Crusade. 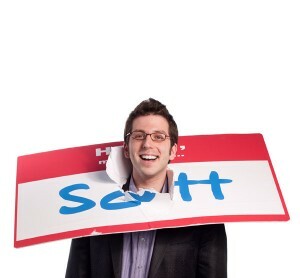 2012 is the year of the Brandtag. And if you’re ready to make your mission more than a statement, I’m your man. 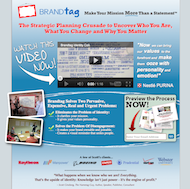 For the list called, “8 Ways to Out Give Your Competition,” send an email to me, and you win the list for free!